Here you will be walking through the slum area of Delhi and could be surprised by what you find. It will be the same as any other area in many ways, as you walk along the intricate lanes, all aspects of life will be seen, and it is a perfect way to understand Indian social issues. The imposing war memorial is 42 meters tall and holds the names of more than 13,000 soldiers who were killed in the Wars at the early part of the 20th Century. It however commemorates more than 70,000 Indians who were killed and if you can visit during the evening you will see it lit up. This tower is a celebration of the new Muslim rulers who have fought to replace the Hindu rulers. Built in the 12th century, the tower reaches 73meters into the sky and is still one of the tallest in India. Built in 1570, this is a forerunner for many constructions in India. It is a great example of Mughul architecture and is seen as the forerunner of the Taj Mahal.Jaipur will be the next part of the Golden Triangle tour and it is clear while it is called the Pink City. Dating back to the 16th Century, the Fort is actually red sandstone and was built by Raja Man Singh. It is a combination of palace and temples, and visits can be made by elephant. Since 1799, the “Palace of Winds” consists of 5 stories that resemble a honeycomb. It will be seen at its best early in the morning as it will be lit by the sun. The 953 windows once allowed women to watch the world go by at a time when they were not allowed to roam freely outside. 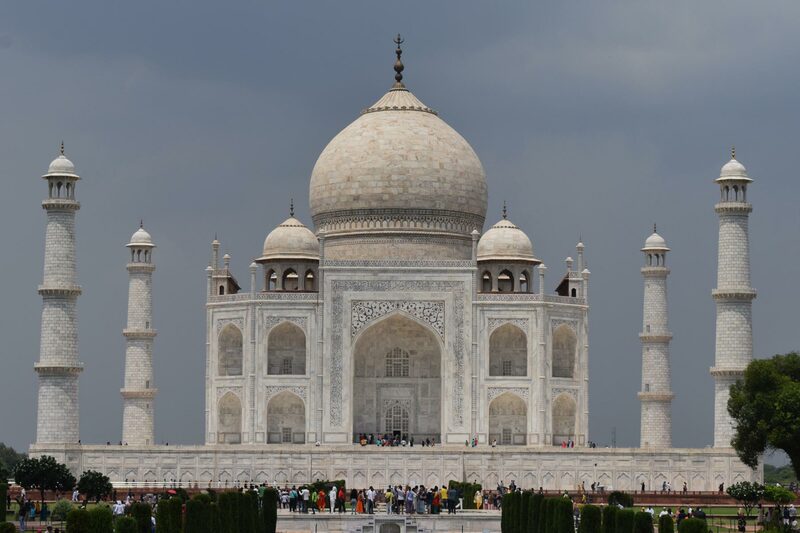 The 7 day Indian Golden Triangle tour includes a number of other sights including The Fort at Agra and of course the Taj Mahal. A few of the 5000 temples can be visited and all will be worth the visit. Visiting the complex of temples will allow you to see a number of buildings – Keshavdeva temple, the GarbhaGriha shrine and Bhagavata Bhavan but be warned that this is a very popular site for visitors. Along with all the amazing places to visit, there will be quite a lot of travelling where you will see a vast expanse of the Indian countryside and also the chance to try a wide range of Indian cuisine. With an Indian Golden Triangle Tour you will get a good taste of life in India in the 21st Century.